This finale for season two is really what kicks off the rest of Enterprise. Just when Enterprise thinks Earth is saved from the Xinidi, something has gone terribly wrong in Earth’s past. In which Enterprise explains the Klingons to us. 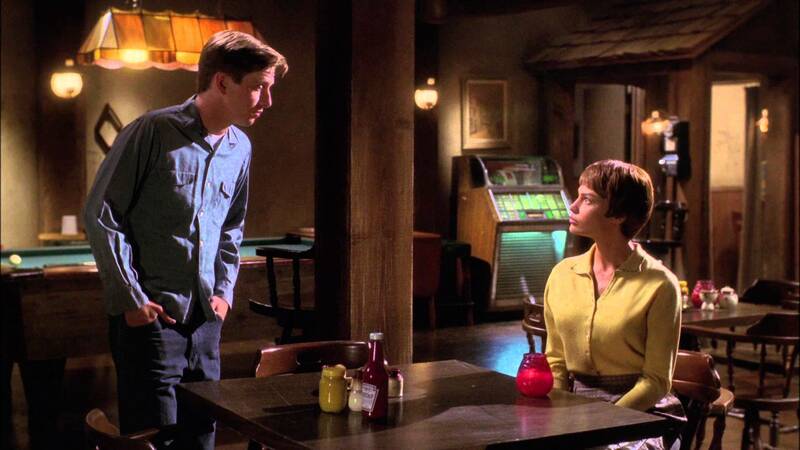 An important character development episode for both Trip and T’Pol. 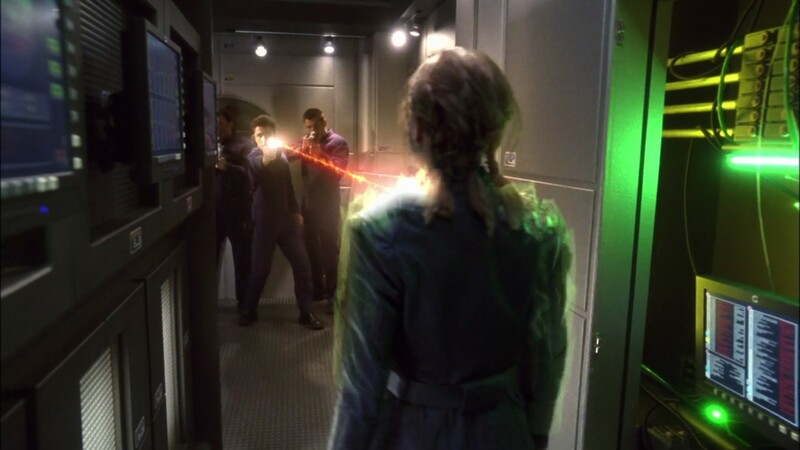 When the Enterprise crew meets another Enterprise crew, they work together to ensure the Xindi are defeated. Genetic engineering arc, need I say more? 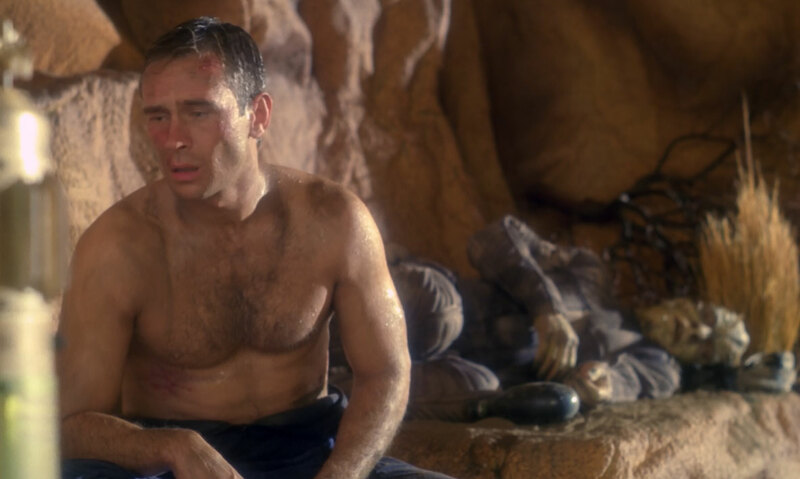 A fun episode were T’Pol tells a story about Vulcans that Trip and Archer enjoy but doubt. Man this episode is hard, but it sticks with you. It definitely made me question what I would do in such a situation. 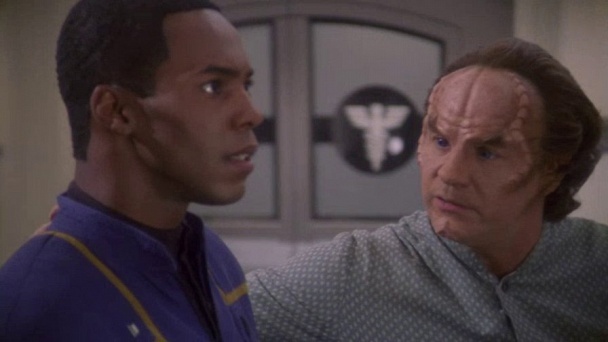 This episode, along with an episode of Deep Space Nine, is actually part of the inspiration of one of my shelved books that I hope to go back to one day. 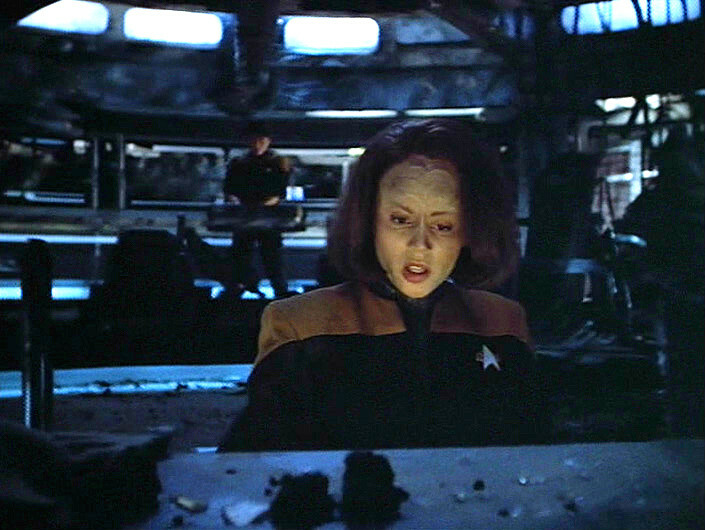 It also has some shades of DS9’s Pale Moonlight with the question: how far would you go to end a war? 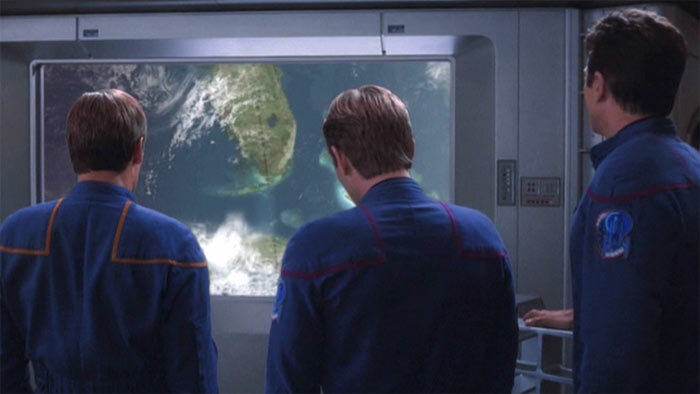 What are your top episodes of Star Trek Enterprise? I can’t wait to share my top episodes of all Star Trek soon! I’m sad I’m finished with Enterprise and this Star Trek rewatch! However, I’m also excited to move on to something new after dedicating so much time to this endeavor! And I’m also excited that soon I will be sharing my top ten of all episodes of Star Trek! Spoiler alert: it’s going to be a lot of DS9. A note about this list: this season was a lot of two and three episode arcs that are really hard to separate, and I didn’t like the standalone episodes from this season nearly as much, so I stopped at four, but it’s technically more than five. I just wanted to do it this way in order to best reflect my faves of the season. Now, without further ado, season four! I had really forgotten that the season three finale actually opened a new door in the Xindi story line to be resolved in this two-parter. The intensity of season three continues through these two episodes. This is the arc in which Enterprise retcons the discrepancy between the Klingons’ appearance from the original series to the other series. I wasn’t as captivated with this arc as I was the first time, but they’re still a solid couple of episodes. A group of radical xenophobists create a bispecies baby from two Enterprise crew members to hold as an abomination and further their cause to rid Earth and its territories of aliens. Many consider Terra Prime the true finale of Enterprise and I concur whole-heartedly. This arc explores what happened to some of the other genetically engineered augments from Khan’s time and their attempts to conquer other aliens as well as humans. For #10 I’m going with the pilot that sets the entire series up. It’s the best pilot among the different Trek series in my opinion (and I say that with assurance after rewatching the Enterprise pilot and having watched the Discover pilot). This is an alternate timeline story that has always just stuck with me. 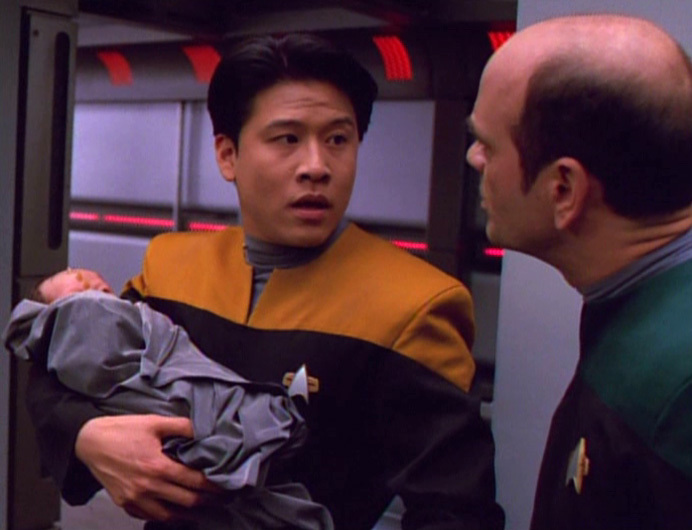 I believe this is the first time Harry Kim dies in the series… poor, Harry Kim… But in all seriousness, this is like the prototype for Year of Hell and is an engaging episode. 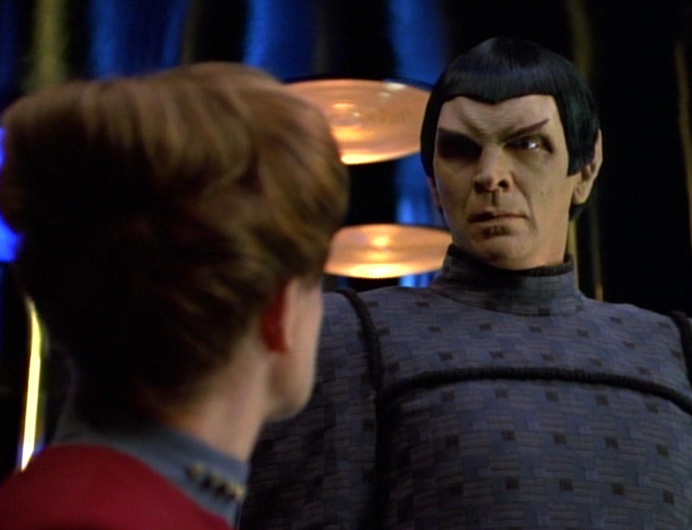 There’s something about the Romulan they meet up with. 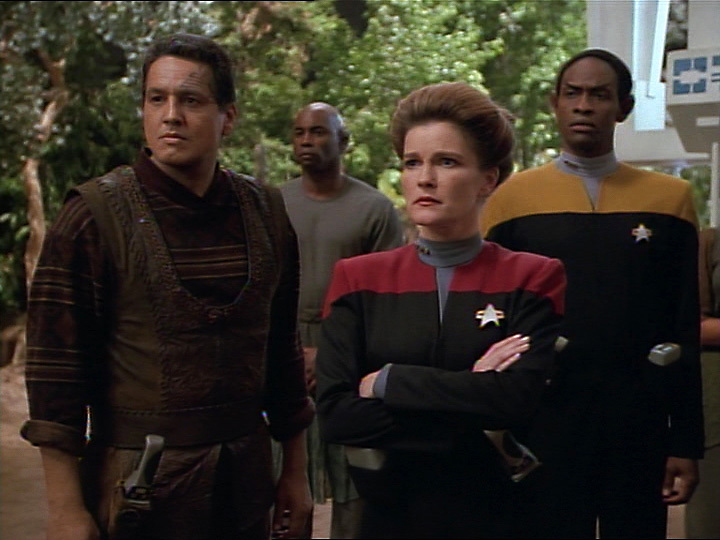 I don’t know, but I really like this episode where Voyager has their first hope of getting back home. I really like this one because we finally get to see the side of Seven I’ve been wanting more of since Unimatrix Zero (which wasn’t that long before this, honestly). I used to say this was the best of Voyager, but on my rewatch I was more underwhelmed by the villain. It’s still a standout two-parter for sure, however. I love the trickery and deceit in this one! This two-parter concluded season six and ushered in seven with – what else? – BORG. 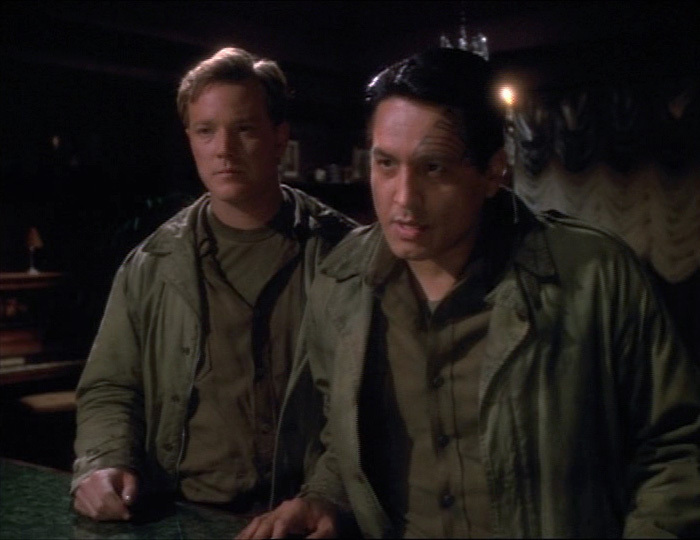 Maybe it’s because I’m a sucker for all things WWII, but I love this two-parter where the crew of Voyager believes they’re living in war time when they’re actually stuck on their own holodeck. I mean, this episode. A great homage to science fiction and so much fun. 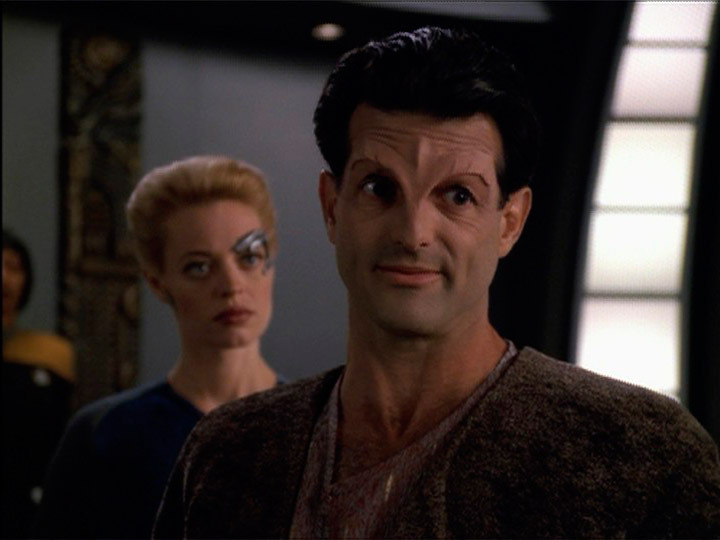 What are your top episodes of Voyager?